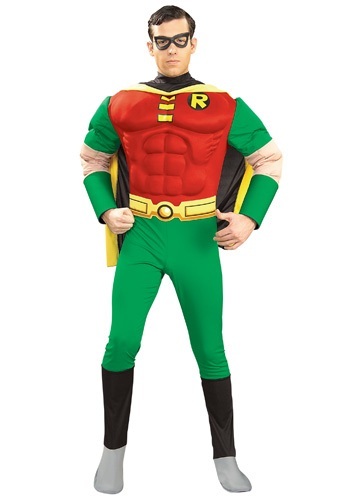 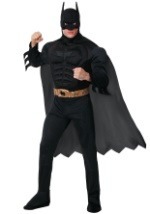 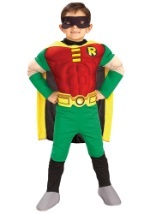 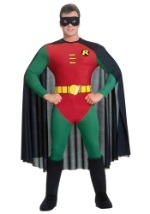 Become one-half of the Dynamic Duo in this adult Deluxe Robin costume. The foam padded jumpsuit provides well-built muscle definition. 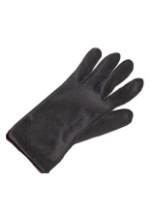 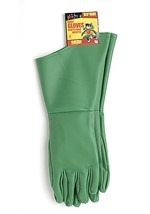 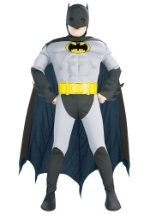 Also included are grey attached boot tops and a yellow and black polyester cape. 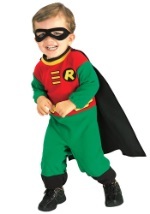 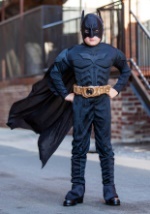 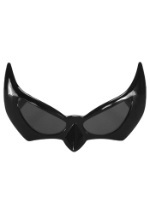 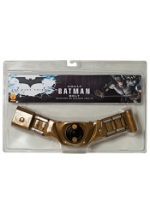 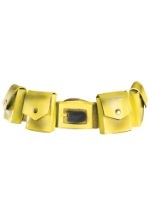 Finish this superhero look with a black foam Robin eye mask and a yellow belt. 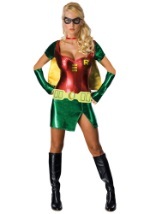 Round up Batman, Batgirl, Catwoman, and the Joker for an unforgettable Halloween group idea.